Technology Joint Entrance Examination for Indian Institute of Technology (IIT JAM) exam schedule has been announced. 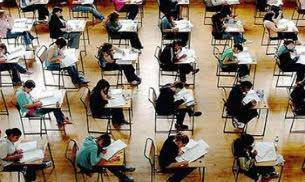 The exam for the recruitment M.Sc and PhD degrees, and is organized by the Indian Institute of Technology Madras (IIT Madras), this time. It will be held February 7, 2016. The candidates can apply online at www.jam.iitm.ac.in. No hard copies of the applications are required. According to the official website, science Bangalore (Indian Academy of Sciences) and the Indian Institute of Technology (the IITs) and Indian Institute of Technology conducted a comprehensive doctoral jam admissions M.Sc program in Indian Institute of Science Bangalore and M.Sc, joint master -Ph.D, M IITs .Sc, Dr double degree, M.Sc-M.Tech, MS-MS (research) /Ph.D double degree and other post-degree programs. The main objective is to consolidate the scientific JAM a career option for the students across the country. It is expected that the research infrastructure, interactive interdisciplinary IITs and the Indian Institute of Science in Bangalore, a vibrant academic environment will encourage these students to pursue studies and career development in frontier areas of basic sciences and interdisciplinary areas of science and technology.